Finally got around to making a ponysona of sorts!! This is Leaping Lilypads (or just Lily). She loves exploring the woods, picking flowers for her friends, and making crafts out of her forest findings! 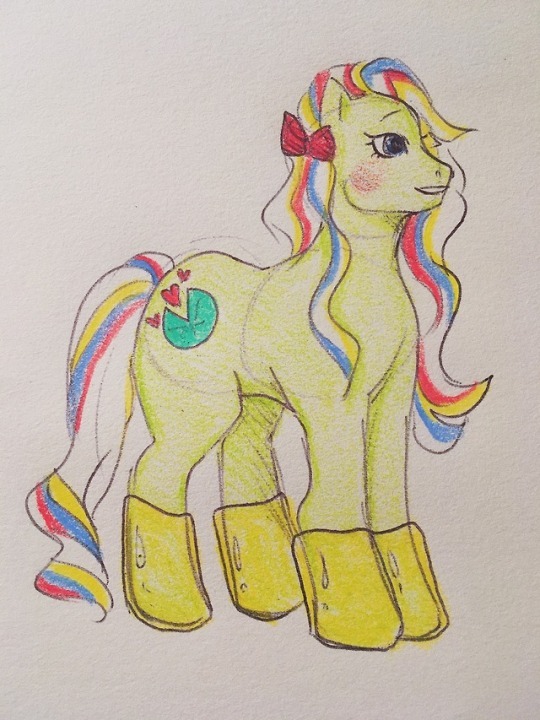 She’s known for wearing her galoshes everywhere, even inside (which bugs some ponies lol). If any of you have ponysonas that would like to be friends hmu!! Oh how fantastic. I love it that she is wearing galoshes and her back story is wonderful.